The Limon Leader / Eastern Colorado Plainsman: Sonnenberg says no! "It is not the right time for me to run for Congress," State Representative Jerry Sonnenberg said today. "It is more important that we have a strong, rural ag voice in the Colorado Senate and that is where I intend to serve." Sonnenberg's name immediately surfaced as a candidate for the 4th Congressional District when that position became an open seat last week. "I am grateful for all of the support and commitments that I received," he added. "I have no doubt that we could have put a viable campaign team together  but this is about where I can do the most good for rural Colorado." Sonnenberg is serving his last year as Representative from the 65th district and had previously announced his candidacy for the Colorado Senate. That Senate district spans over 21,000 square miles and eleven counties, all of which are included in the 4th Congressional District. Currently he is the only farmer in the House of Representatives and is recognized as the voice of experience for agriculture issues on both sides of the isle. 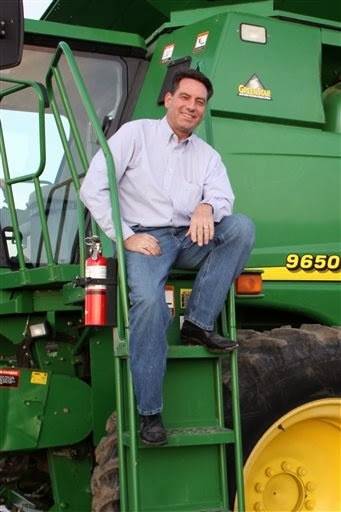 Representative Sonnenberg owns and operates a diverse family farm in Logan County raising corn, wheat, millet and cattle.